“Lubbock-Cooper will always be shown respect on our field” — I have this favorited on my Twitter account. It is one of my favorite tweets and one that means a lot to me. It was written by one of Coach Jason Strunk’s players last year. It’s one of my favorites, but it doesn’t surprise me at all. It doesn’t surprise me, because that is the way Lubbock High plays football. They play hard and they respect the game. There is no trash talking. They hit you hard and then help you up. Whether they score on a play or you do, you know they are coming at you again the next play. It’s football in its purest form. It makes you remember what is good about sports. I hope the picture above copies over well enough to do justice to what I am going to say next. 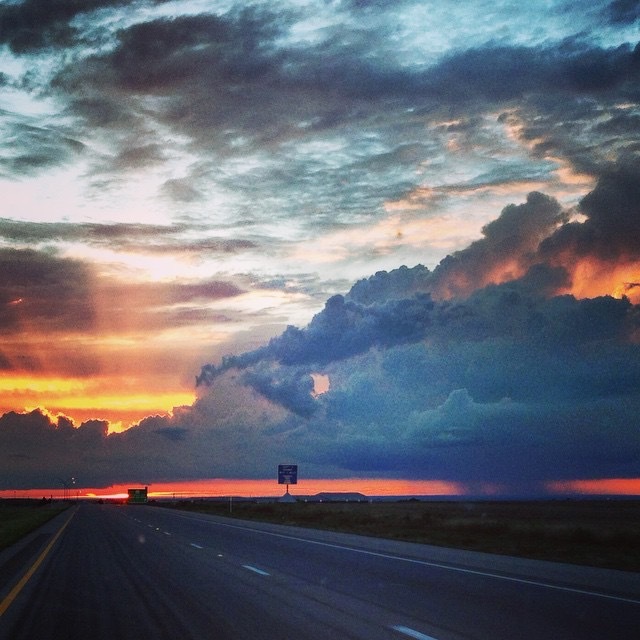 This picture was taken a few years ago of a West Texas sunset. As you can see, the sun is gone. What isn’t gone are the “fingers of light” coming from the sun. I love this picture because of its beauty, but also because of its significance it has towards coaches and educators. Once athletes leave your program or those students leave your classroom, you may be gone like the sun is in this picture. However, the influence you had on these athletes and students still linger. District 4-5A is one of the most competitive districts in the State of Texas. Great programs, coaching staffs, rivalries, and athletes make every Friday night in October and November — stressful, but fun. Wins are important, but so is the influence each coach carries. Their light can stay with their athletes for the rest of their lives. Jason Strunk gets this. It is also why Lubbock High will always be shown respect at Pirate Stadium. Editor’s Note: Lubbock High will play Lubbock Cooper Friday night.